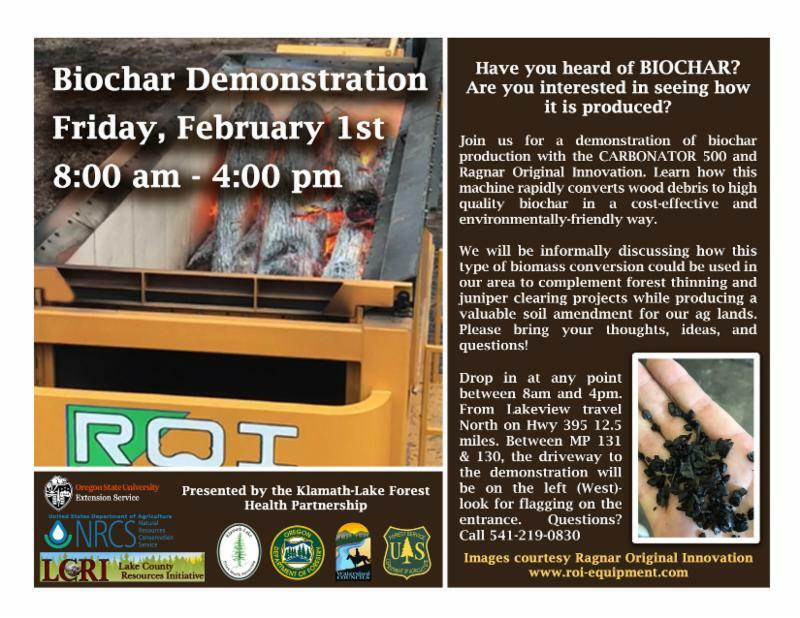 Biochar Demonstration in Lakeview, Oregon on February 1, 2019. We’re excited to announce a live demonstration of our Carbonator 500 in Lakeview, Oregon on February 1, 2019. We will be informally discussing how this type of biomass conversion could be used in the area to complement forest thinning and juniper clearing projects while producing a valuable soil amendment for agricultural lands. Please bring your thoughts, ideas and questions!